Jorge is a seasoned executive with over 20 years of corporate experience in senior executive management positions and over 10 years in private practice as an independent consultant. 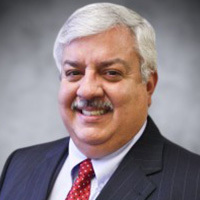 He possesses a strong background in leadership positions from Chief Financial Officer and Chief Information Officer to General Manager, with Fortune 100 companies IBM, PepsiCo and American Express. His experiences have allowed him to apply his expertise on more than 4 continents operating various entities while launching and developing new businesses throughout the globe at an enterprise level. He has also led multiple transactions in various industries ranging from $12mm to $1.5b on both the buy side and sell side. Having lived and worked in Latin America and Europe for many years, Jorge not only speaks multiple languages, but also engages and executes at a global level to mediate those differences and bridge the gaps between cultures and ways of doing business. Jorge prides himself on the highest of ethics and integrity. A platform where high impact entrepreneurs, visionary investors, and optimal resources connect. © 2016 Luminary Central, LLC. All Rights Reserved.